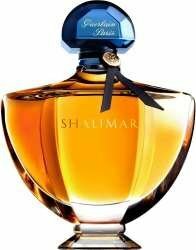 Shalimar was created by Jacques Guerlain in 1925, as a tribute to the legendary love story between Emperor SHAHJAHAN and his wife Mumtaz Mahal. Before he became emperor his name was Prince Khurram. According to the legend, twenty- year-old Prince Khurram met a young girl, named Arjumand Banu at the bazaar where her family worked. Mesmerized by her beauty, after becoming emperor, he made her his wife as Mumtaz Mahal, meaning the "Jewel of the Palace". After the wedding ,the prince and Mumtaz were inseparable, in war and in peace. She had given 13 children to Shahjahan and died during the birth of their 14th child at the age of 39. Her death devastated Shah Jahan and had built Taj Mahal in memory of his wife and their undying love. Shalimar is named after ‘The Gardens of Shalimar’.It was Mumtaz’s favorite garden. Shalimar is one of the best selling perfumes ever and its magic is undeniable. Perfume is composed of citrus notes; lemon and bergamot, jasmine, may rose, opoponax, Tonka bean, vanilla, iris, Peru balsam and gray amber. Coolness of the citrus notes leads to floral heart ending with a warm and luxurious trail. Here you can watch an advertising video for Shalimar by Guerlain. Shalimar Black Limited Christmas Edition was introduced in 2007 as limited Christmas edition bottle of this classic fragrance. The perfume composition remains the same, available in parfum and eau de parfum concentrations, in a mysterious, black bottle. More about this edition read in the news section.